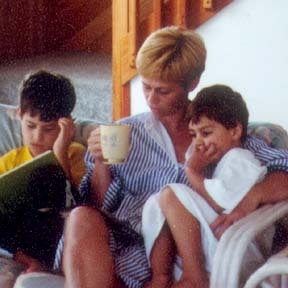 Anita Kratzke with her sons, Mike and Chris, before her death on March 18, 2000. Her husband, Robert, says massive doses of medication prescribed by their psychiatrist led to her death as well as brain damage to himself and Chris. The psychiatrist's license has been suspended, but is eligible for reinstatement this month.